M1 Finance was founded on one simple principle: rethink the tools of personal finance to empower more people to build wealth their way. See, we believe that everyone manages their money just a bit differently. Some want customization, some want automation. Some prioritize low cost, some look for the most powerful platform on the market. We think, why not have all of the above? So we created a powerful yet easy-to-use platform that can be customized to fit seamlessly into your entire financial life. Of course, it’s a bit difficult to explain one way to use M1 when everyone uses it just a bit differently. So we decided to share the real stories. Three years ago, frustrated by my job and my career trajectory, I made a promise to myself: I would create a life that would allow me to live on my own terms. Instead of working for someone else, I would have the freedom to wake up each day and do whatever I felt would be meaningful. The secret? Passive income. I wanted to earn enough money month to month to have all my basic needs taken care of. I decided to make dividend income the cornerstone of my strategy. 1. The Pies: Choosing the weight of each investment is one of the best ways to keep a balanced portfolio. This system allows for effortless dollar-cost averaging, an investor's dream. 2. Fractional shares: Since dividends are reinvested in fractional shares, no time is wasted and you can take full advantage of compound interest, right away. 3. Expert Pies: It's fun to follow the best in the industry. The sectors and industries section is also an interesting and fun way to add some diversification. 4. And, of course, who could forget... the price: It's still amazing to me that M1 Finance offers so much value without charging any fees. It took a few weeks for me to stop dreading making my monthly trades. Now I can re-balance my portfolio without fear. Thanks to M1 Finance, my income is growing steadily, and I am on the path to achieving financial independence much earlier than I thought possible. I am grateful for the platform the M1 team has put together, and look forward to using it as the key tool in my financial development. I was interested in investing and opening a brokerage account, so I figured I'd go to the bank. I ended up opening an account with Wells Fargo. At the time, I didn't really know much about fees, but later I learned they were super high: more than 1%. I also didn't realize the impact of a 1% fee at first, and how much that can cut into your returns. Later, I heard about M1 through the Stacking Benjamins podcast — that was back when it had a fee, though it was just 0.25%. I learned more about it and in June 2017, I opened an account. I transferred my regular brokerage account to M1, and in 2018, after the company got rid of its fees, I opened a Roth IRA with M1, too. I love M1 because it can be very tailored to me. You can pick individual stocks or, for more novice investors, as long as you know your risk tolerance you can choose an Expert Pie, like responsible investing or target date funds. The ability to be flexible and be invested in things you care about is great. Plus, it's so user friendly. It explains what's happening, it allows you to navigate easily between accounts, and you can change your investing choices at any time. It's a great tool for women who want to get invested and grow their money. It makes you feel empowered and knowledgeable about where your money is going. I have used several different brokerage platforms, and none of them have delivered the diversification and freedom in investment choices like M1 has. I use M1 primarily for long-term investing, including saving for a down payment for a house and saving for retirement. The automation, recurring investment schedule, and dynamic rebalancing makes M1 an easy-to-use platform for my long-term investment strategy. M1 has allowed me to build a portfolio to invest exactly how I want. The Pie allows my to choose my investments, and the allocation of funds can be as simple or complex as desired. The ability to purchase fractional shares commission-free and allocate percentages in stocks or funds has allowed for diversification and specificity that I could not get with other brokerage accounts. I do not claim to be an expert investor by any means; therefore, I wanted further diversification beyond my personal stock picks. M1 has Expert Pies to provide a bit more professional guidance, which include specific sectors and even hedge fund followers. By using Expert Pies and my own picks, I can compare how my investment choices perform relative to the expert picks. M1 is exactly what I was looking for to create a long-term investing portfolio! I've been investing on and off the past 6 years or so. I started off with an E-Trade account and tried day trading on my own for a while with penny stocks. While I did well sometimes, most of the times I lost big time. I also was wasting money on commissions, so I eventually tried out Robinhood. There, I again tried to swing trade and day trade, but the results were no better. I've probably lost close to $40,000 in the past 6 years. I realized I was very new to this and had a lot to learn. I eventually switched to Betterment, but I wish you could select what you could invest in. 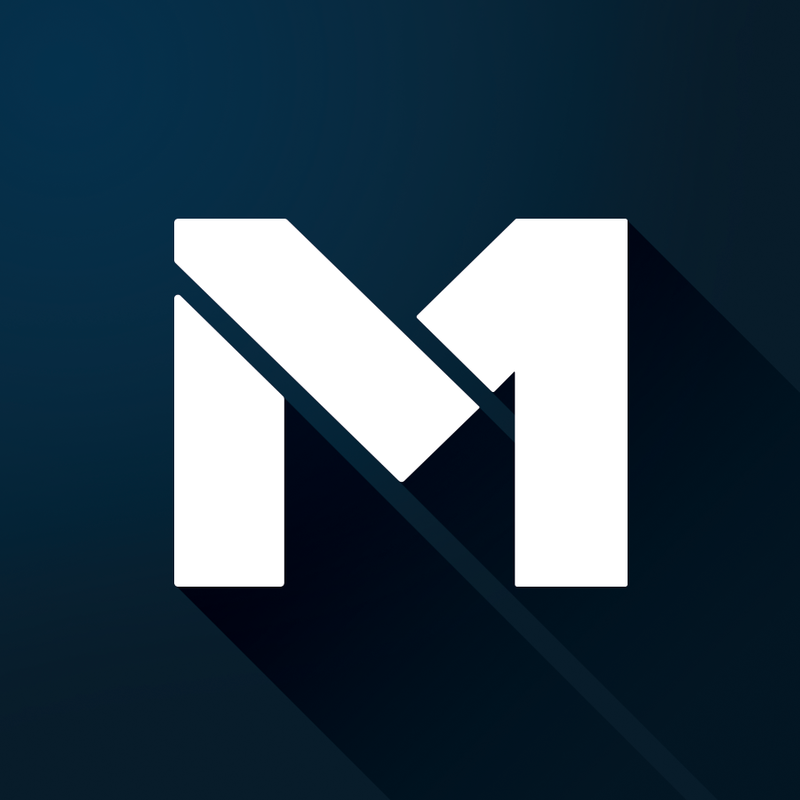 Later, I stumbled across M1 Finance, and it is exactly what I have been looking for the past few years. Passively investing in quality stocks and being able to purchase fractional shares is exactly what I need to invest successfully and responsibly. I created a Pie with what I want to invest in (big tech companies, upcoming tech, upcoming marijuana companies, solid Fortune 500 companies, more risky companies) and just set a target percentage per slice to invest automatically. This helps me significantly. I no longer feel like I need to try to day trade or swing trade — I can just invest a little at a time and see how my choices are going every few weeks. I may try to trade again in the future but having a solid passive investment tool is going to help me become more successful. M1 is quickly becoming an integral part of my investment portfolio and I've started telling other people about the program as well. Thank you for creating an awesome product! M1 isn’t just an investing platform — it is a life-changer. Although only a recent discovery, M1 Finance has really wrapped itself around the roots of my existence, adding confidence and clarity for me to take the next step on my journey. It provides comfort and hope. The reason it fuels these feelings is because it has to do with securing that financial burden – the tug that money has on everyone’s heart. Finances have caused a significant strain on my life because I became financially independent very early on. When I was 9 years old, my mother passed away from Ovarian Cancer. My father then passed away when I was 16 from a heart attack. I then lived with my aunt and uncle for two years, and then I was off to college. My aunt was in charge of my money, but she handled it very poorly — she even bought me a $1,000 camera for me for Christmas… with my own money! Not having a financial safety net to rely on really took a toll on my well-being throughout college. To add to this, I could not nail-down what I wanted to do with my life. I ended up getting my BA in Asian Studies. “What is that?” you ask? Exactly. I then became a personal trainer for about two years, went back to school and got a marketing management certification. That worked. I went back to school again, and attended a “coding bootcamp”. I now work in a field that is a mixture between marketing and programming (or at least knowing how to program). As you can see, uncertainty has been a central driver in my life. But I believe that all of these twists and turns have made me much stronger throughout the years. I first got into stocks when I was about 20 years old or so, when I tried my hand at day trading. I used TD Ameritrade’s Think-Or-Swim platform at the time. Luckily, over the course of a month or so, I only ended up losing around $100 or so. I then invested with Edward Jones and soon found Robinhood. Robinhood was great, but I wanted to find a platform that would enable me to re-invest my dividends. I was searching for a long time (more than a year) and eventually gave up. About a month ago I started looking again, and, to my surprise, I found M1. M1 Finance does everything I want, and then some. Every time I open the app, I am blown away at the fact that an app can have such an effect on one’s life. Not only does it essentially have DRIP (If you have auto-invest on and make scheduled deposits), but it allows me to own partial shares, which is absolutely amazing! I can finally own some GOOGL and AMZN! So how do I plan to use M1? Simple: invest roughly 20% of my paycheck into high dividend yield stocks and watch it grow, grow, grow. My current job doesn’t provide 401(k) matching (as we all know, that is getting less common), so I opened a Roth IRA in M1 with scheduled daily deposits. I am very much looking forward to growing with M1, and seeing what great things it can accomplish. Thank you. Check out the winner's full story here. Share your own story for a chance to be featured and win a nifty M1 T-shirt! Just tag us in a tweet with the hashtag #MyM1Story. Learn how one man went from day trader to long-term investor with the help of M1 Pies, automated intelligence, and fractional shares. Was your go-to investing platform acquired by another firm? Here's what you need to know and steps to take if it happens to you.